Mint should be a garden basic for anyone looking to plant for scent. Brush your fingers through it in a bed or container and the smell is unmistakable just dont allow it to spread too much. Sweet pea is an intensely fragrant annual flowering plant which blooms in spring and winter with yellow, white, and deep red colours. 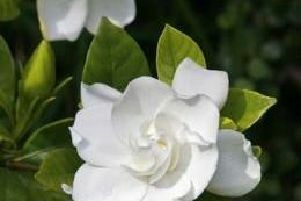 ''Its increasingly popular in bouquets because of its strong, sweet smell. Wisteria is a climbing, flowering plant boasting purple, pink and white petals and during bloom, producing a sweet pleasant smell. ''Chinese wisteria is the most notable pleasant-smelling plant of wisteria family. Successfully growing roses requires a lot of sunlight, frequent pruning and fertilization, and a great deal of TLC but their beauty, and intoxicating fragrance are extremely rewarding. ''Roses are divided into three classes; species roses feature simple five-petaled flowers and colourful hips; old garden roses offer a delicate beauty and a wonderful perfume, usually white or pastel in colour; and modern roses are prized for their rich colours and shapes with a subtle aroma that varies among species.